Check out the party characters here below. Serving all the local area, the amazing entertainers will bring life to your kids birthday party. Rent characters for your kids birthday party. Birthday is an important occasion to celebrate our little-loved ones. But just like many other parents out there, planning a child’s birthday party can be pretty tough business and overwhelming. Amongst the hardships, you might find that finding the right place, theme, and the concept to celebrate your kid’s birthday party can be difficult. You will want to deliver the best things for the special guests as well as your kids. First things first, you will want to consider the theme of your kids’ party. You’ve probably heard about superhero party in Austin as the trending theme for the last 5 years. It still works and you can’t go wrong with that. The good thing here is that most of the party venues in Austin allows you to bring Austin party characters to the party. That means you have the freedom to choose the theme based on your kids’ preferences. No matter what types of characters that your kids like, you will always find the right venue in Austin. One of the best places for a kid’s party in Austin is Austin Aquarium. The Austin Aquarium brings the attendances together. You could include the educator service which will guide the kids to takes on aquarium tour. Then, you could settle the kid’s birthday party with the cake, pizza, whatever you’d like to add to the party. Of course, you are able to bring Austin party characters. Special lanyard in Austin Aquarium can be the great spot to bring the party characters up like Paw Patrol characters, Elmo, Mickey Mouse, PJ Mask Catboy and Gekko, Troll characters Poppy and Branch. The other place to look is Austin Moonwalks. We’re confident to tell you that it is one of the most renowned places in Austin that gives you the liberty to choose the special event services and equipment, as well as the theme. You will just need to decide the theme of the character like Pokemon, Star Wars characters especially like ( Darth Vader, Stormtrooper, Jedi, Kylo Ren, Rey, Chewbacca and more ). And then, the venue staff will handle the rest. 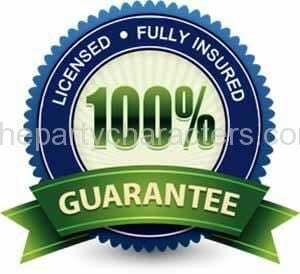 It offers complete services including games, tents, tables, chairs, slides, and many more. The highlighted one is the new photo booth which you can use to capture the moments of your kids birthday. Dance Discovery comes to our next radar. As the name suggests, there will be no party like a dance party! In this venue, you could decide your own theme as well. The themed dance party is available for 2-18 years old kids. You can even decide the theme of superhero party in Austin. You could either hire the talent by yourself or let the owner of the place handle it. The good thing here is that you have a chance to live the superheroes up such as Spiderman, Batman & Robin, Hulk, Joker the villain, Flash, Captain America, Thor, Black Panther, Wonder Woman, Supergirl, Superman, Ironman, or even Venom the villain. If your kids and their friends are the big fans of Avengers, you should really use this idea in the right venues in Austin. There is nothing like celebrating the most unique day of the year with Austin party characters for kid’s company. What could make your Child’s birthday more memorable than their best lookalike mascot turning up to their birthday party. Party characters in Austin Texas can offer the highest standard lookalike mascot manned by expert entertainers. These party experts can make your child’s next party extra unique when they appear as the costumed character of your choice. Pick your child’s favorite cartoon character and watch your child’s face light up when they view them. Offer your daughter an enchanted birthday party she will never forget hosted by her favorite storybook princess. The fun starts as we change the kids into magical princess by dressing up them as the character of their choice. The magic continues as party guests their own tiara and magical wand. Then the princess is off to glittery make-up application. Dancing, singing, and games throughout the full party. Nothing offers more lasting memories than a best birthday. Especially when shared with family and friends. Every person loves a clown. And party characters for children can make it simple to hire clown for your next event. Clowns can be some of the most amazing entertainers out there. While clowns are the best kids party fun, clowning is not a child’s play. It takes years of hard work to become a really top-notch clown, and that you will find here on Austin Texas birthday party characters. Best for birthday parties, clown for entertainment and fun will bring the full family together. With over fifty expert costume characters, Austin party characters for children will be sure to make your event a memorable one for all your visitors. Your kid favorite character does not just smile and wave, they will be dancing, singing, and playing games throughout the full party. 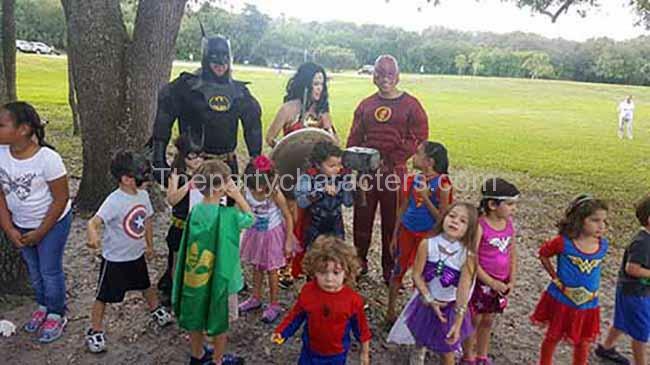 Hire superheroes party characters to fun at your child’s party and make it really unforgettable event. Bring your kid dreams to live when you have staged light sabre fight occur between Sith Lord and Luke Skywalker, watch superman take out a villain, or watch a Batman arrives at the party in a chill Batmobile. They will keep the kids entertained from begin to finish with face painting, dancing, balloon animals, games, a magic show and much more.